Straight from the Isle of Berk comes Funko's new wave of How To Train Your Dragon: The Hidden World Pop! Vinyl Figures! The film follows Hiccup, who after becoming the chief of Berk, has fulfilled his dream of creating a peaceful dragon utopia, while the sudden discovery of a wild, elusive mate lures Toothless away. When danger threatens their village and tests Hiccup's reign as chief, Hiccup and Toothless are forced to leave the only home they know. As they travel to a hidden world thought to only exist in myth, both dragon and rider will fight together to the very end to protect everything they love. This EXCLUSIVE Pop! 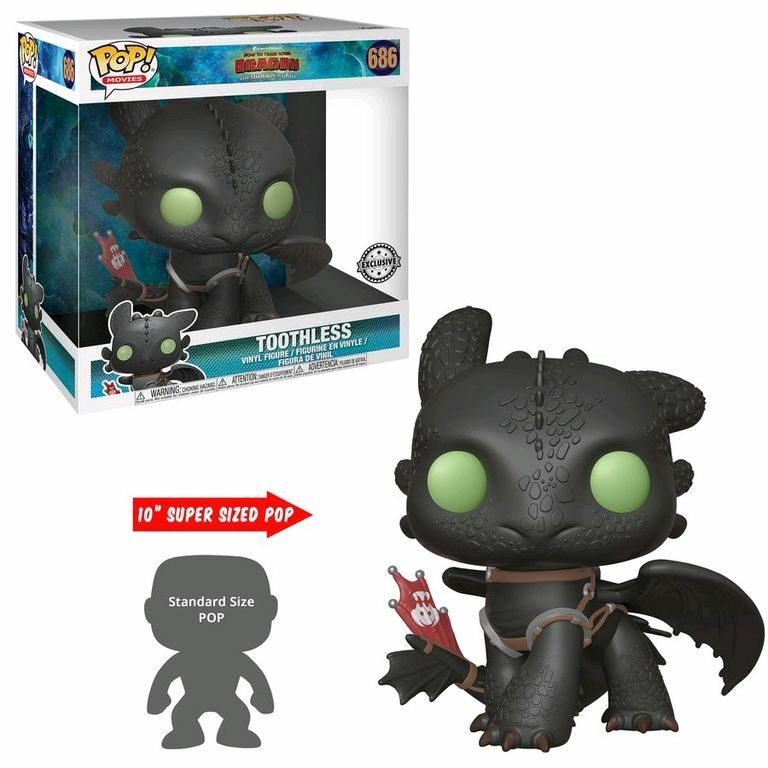 features Hiccup's beloved companion Toothless, in all of his 10" glory! There isn't a fan of the film who isn't going to want one these, it's like having your own personal pet baby dragon!